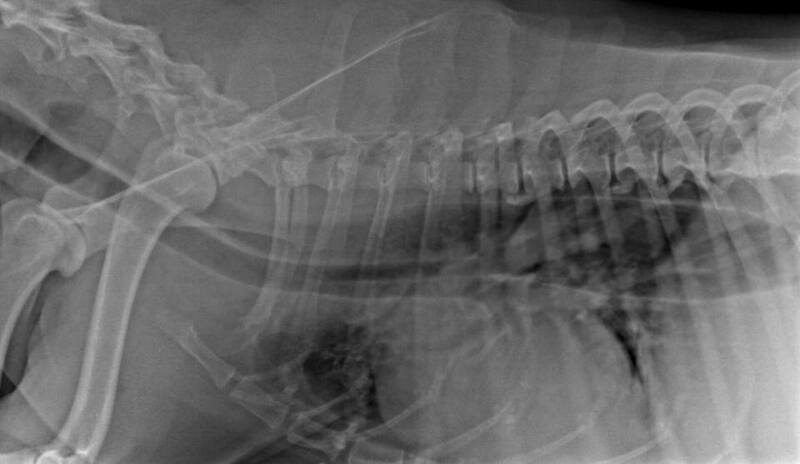 Pictured: Thoracic radiograph of a 13-year-old Labrador. Name at least 2 diseases that can cause this condition or that can exist concurrently. What is a possible complication of this condition?